Our luxurious fabric Roman Blinds provide a decorative finish to dress the window inkeeping with home decor. The heavyweight fabric provides a blackout effect and clearly displays the quality of the product. Roman blinds speak for themselves. 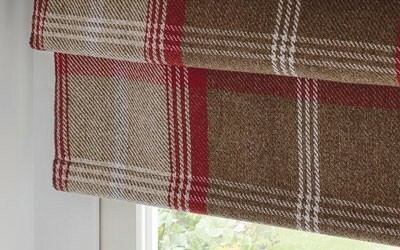 Our wide range of Roman Blinds are supplied and fitted adhering to child safety regulations.